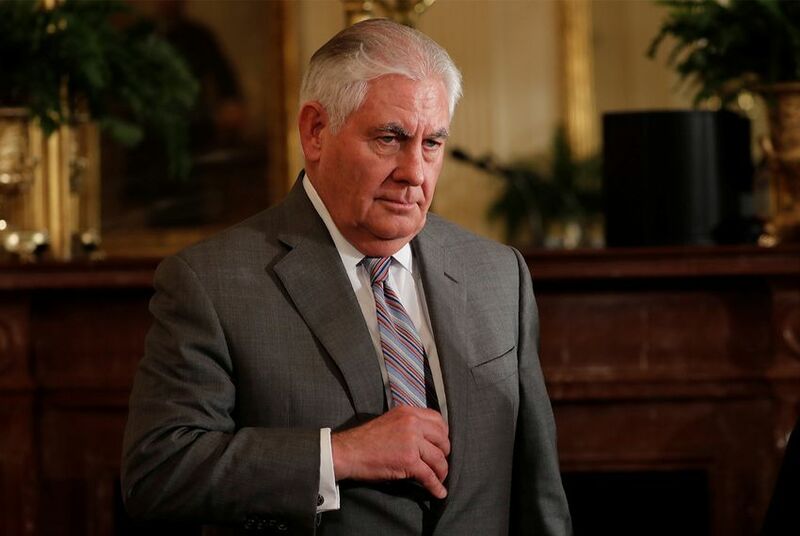 As the search for the next University of Texas System chancellor drags on, a new high-profile potential candidate has emerged: departing U.S. Secretary of State Rex Tillerson. But two other sources close to the matter said no interviews have been conducted and that there are no front-runners at this point. There are five current or former regents on the search committee, and, just last month, they announced that they'd signed a contract with an executive recruiting firm, Russell Reynolds Associates. “Nobody other than the members of the search advisory committee have confirmed knowledge of the names of candidates under consideration,” Randa Safady, a UT System spokesperson, said in a statement. “At this point, any names mentioned by others are speculative at best." The search for a new chancellor is being conducted by current and former members of the UT System’s governing board, a body that’s frequently found itself divided internally about policy and direction. It’s unclear how the full board would react to the idea of Tillerson as chancellor, though sources close to the matter suggested it was premature to speculate. Whoever is picked would replace Chancellor Bill McRaven, a retired Navy admiral. McRaven announced last December that he would step down in the spring for health reasons. Regents have said they hope to replace him well before the 2019 legislative session begins to give his successor enough time to prepare. Though McRaven’s appointment as chancellor was greeted with fanfare, legislators soon soured on his ambitious approach to leading the system. A four-regent task force is currently reviewing the system's headcount and spending, and is expected to recommend it take on a more restrained role going forward. Disclosure: The University of Texas System, the University of Texas at Austin and Exxon Mobil have been financial supporters of The Texas Tribune, a nonprofit, nonpartisan news organization that is funded in part by donations from members, foundations and corporate sponsors. Financial supporters play no role in the Tribune's journalism. Find a complete list of them here.